I feel very grinch-ish sometimes when I scream about the toys-toys-toys-TOYS and the noise-noise-noise-NOISE, but good LAWD my house gets loud and crazy sometimes! And I don’t mind a few toys out here and there, but if I can’t walk to the bathroom without hitting a Lego land mine? Well, I get pretty darn cranky. But with Christmas and 3 birthdays all within a month of each other, it gets pretty messy around here. I tried to stay ahead of the curve and clear out a lot of stuff before Christmas. The kids helped me sort it all and they chose what to give to St. Nick. Then he took the toys to the North Pole where they were fixed up and shipped out to other boys and girls. (Bonus: Santa can bring gently used items to our house and no one questions it.) That helped, but there were still way too many toys. And so after Christmas we pulled everything out. Every.single.thing. WHEW! And we sorted every.single.thing. And not just dolls, blocks, cars; but American Girl dolls vs. Cabbage Patch Kids vs. other dolls, Hot Wheels vs. Cars cars vs. big toy cars. And then we started boxing up. All the toys for January, February, March, and April went on the floor. One big box for May, June, July, August. Another for September, October, November, December. If you wanted your Halloween bucket when it was time to trick-or-treat, you sure as hang better make sure your bucket was in the October box. Want to take a toy to the beach? You should probably put it in the May-August box. How do you tame the Toy Monster? Do you give away toys they don’t use any more? 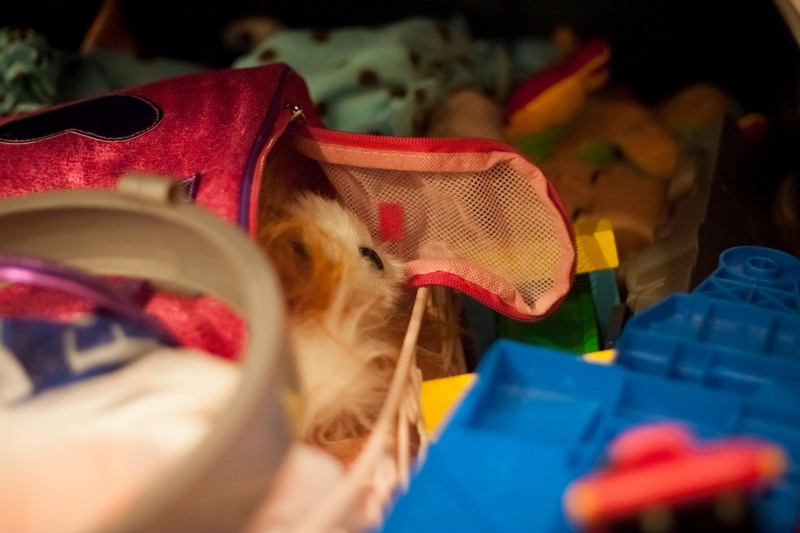 Do you sell toys at consignment? Or just deal with the explosion of toys? Do you save any of their (or your) favorites? I’ve saved some to have when my kids are older, but younger kids visit. And for (maybe someday) grandchildren. I love that both my parents and Marshall’s have our toys for our kids to use. That is a great system! We did a huge clean out in December, just before Christmas. With no input from our kids, William and I just took it upon ourselves to get rid of stuff. So far, they’ve only noticed a couple of things gone. We do this a couple of times a year and the toys go to Goodwill. So far, it’s worked for us. What a great system! I never would have dreamed of quarterly boxes. We have a grandparent who buys the!biggest!toys!in!the!store! and expects to find them in our living room. So after that person’s departure and when the Christmas tree came down, those things moved to the basement. That’s pretty much our system. I did a HUGE cleanout a few years ago and sold a ton of toys at the consignment sale. Made a small fortune! When we moved, i slowly pulled out toys that i knew they played with on a daily basis and put them out. We STILL have boxes of toys sitting in our garage that belong to the oldest two and they haven’t even bothered to ask for. In March we would have been in our house one year and if those unclaimed toys are still sitting in my garage, I will sort them, find the ones that I know I can sell at consignment to the side and send the rest to goodwill. I will always and forever keep all the wooden Thomas Trains and the table because every child ever loves to play with those and we paid a pretty penny for them. I have them put in a box in my storage room and the kids, (even the 13 yr old) will play with them from time to time. I have sold a lot of their baby toys, but we still have so MANY! We have a toy box that is 3 drawers. One has action figures in it. One has too much random crap toys, (happy meal toys random crap) the other drawer has potato head men. Then we have more drawers for cars, legos play figures, ect. I like to keep everything in a box, drawer or on a shelf, that way they can pull out what they want and they also know where it goes when it’s time to clean up. We didn’t have much room for toys in our apartment, so I was strict when it came to stuff being out of their rooms. Now, they have more room to spread out and oddly enough, keep their toys(most of the time) in their rooms. What would send our kids into total meltdown would be getting rid of the video games. They already don’t get any during a school week, but on the weekends they play a lot and it is the source of quite a few fights. They adapt if we take them away, but howdy are there tears!